There?s no need to climb wobbly attic stairs, wend your way through spider webs, and defend yourself against surprised nesting critters in search of lost treasures. 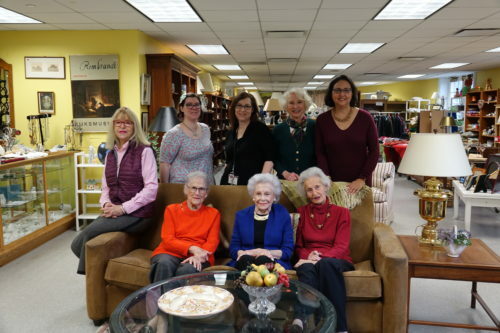 At Miriam?s Attic, you?ll find all the furniture, crockery, vintage clothing, and costume jewelry you desire on the first floor at the back of The Osborn. They?ve been dusted, sorted, and beautifully arranged in the well-lit thrift shop that?s open Tuesdays and Fridays from 9:30-4:30. In addition to the ?finds?, what makes the shopping experience memorable is the people, senior and junior, you run into. 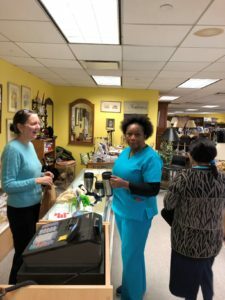 Other than a manager, the shop, which celebrates its tenth anniversary this month, is staffed by volunteers, a few of them Osborn residents. As one Osborn staffer said, ?It?s not just a shop, it?s a community.? 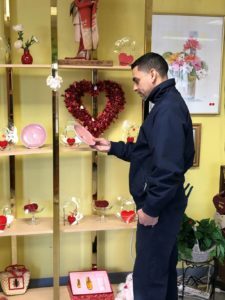 While we were admiring some 1950s earrings, that looked exactly like the ones Marilyn Monroe wore in ?The Seven Year Itch?, a member of the facilities crew, Mark Felix, came in to check out the Valentine?s Day display shelf. After learning that he and his wife had four children, we recommended he buy his wife more than one gift. If you were thinking about buying a fashionable purse, head to Miriam?s Attic first. If Judith Steers, a former interior designer, is there, she?ll steer you over to the carefully curated handbag collection. And you?ll want to dress up for the occasion. The dress code is timeless chic. 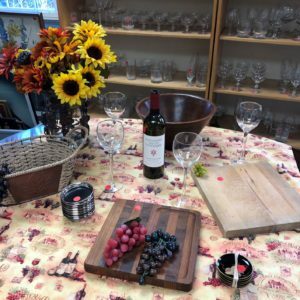 The shop is a trove of well-loved items donated by people who?ve downsized, moved, or just want to collect other old things. There is a story behind every what-not and period antique. When the staff is unsure how to price an antique, they call Clarke Auction Gallery in Larchmont. When they have an abundance of something ? glassware, picture frames, crockery ? they put the lot on sale. And there are big sales days ahead. In celebration of their tenth anniversary, everything is 10 percent off on January 22 and 25. Store profits ? $765,000 to date ? go to fund The Osborn?s Charity Care Program, ensuring that no resident has to leave if they outlive their resources. Volunteer Annie Doyle helping Osborn Home Care aide Veronica Lewis with a purchase. 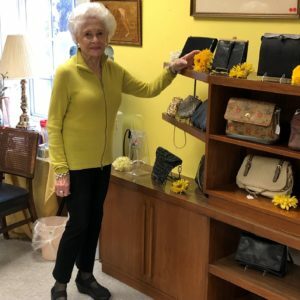 Resident and volunteer Judith Steers adding a touch of color to the handbag display. Facilities crewmember Mark Felix admiring the new Valentine?s Day arrivals. Weather-permitting, everything you need to dine al fresco. back row: Lory Gambrill, Diana Vize (Human Resources Clerk at The Osborn), Marie Vize (Manager), Margaret Harris, and Karen Unger.